US #4422c from the Supreme Court Justices issue. 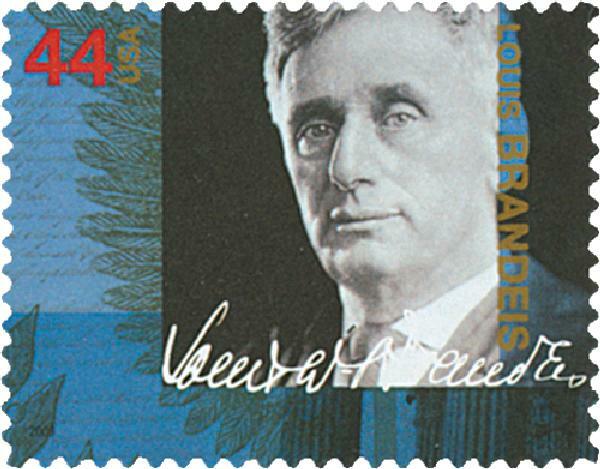 Supreme Court Justice Louis Brandeis was born on November 13, 1856, in Louisville, Kentucky. Brandeis grew up surrounded by books, music, and politics. He was a serious student and graduated from high school at the age of 14. He then left the country for a few years with his family and attended the Annenschule in Dresden, Saxony. US #3182i from the Celebrate the Century: 1900s sheet. On November 12, 1954, Ellis Island closed, after serving as America’s busiest immigration inspection station for over 60 years. In 994 A.D., Native Americans began inhabiting what are now Liberty and Ellis Islands. These islands were originally known as Oyster Islands, named for the many shell beds in the area. Oysters were likely a major food source for the Native Americans during this time. When Europeans came to the Hudson River, disease and other factors forced the Native Americans to move north or west. 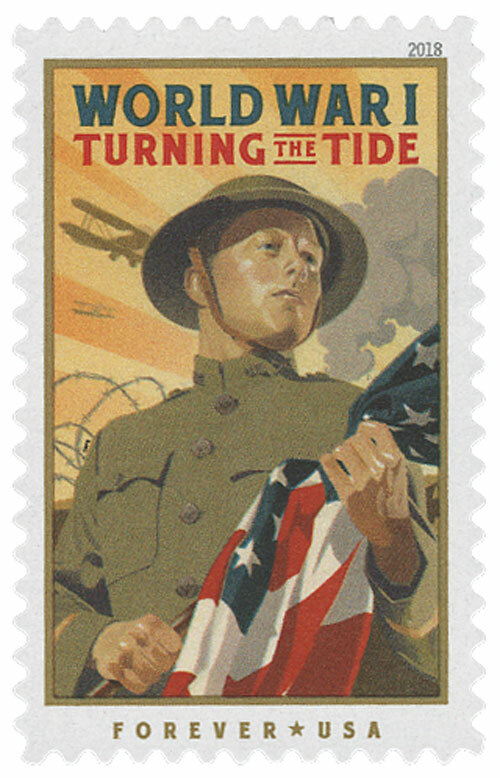 US #5300 was issued earlier this year to honor the centennial of the war. On the 11th hour of the 11th day of the 11th month (November 11, 1918), the world’s warring nations agreed to cease fighting, bringing about the end of the Great War. When the war first began in 1914, America resolved to stay out of it. Though America offered aid and supplies to the Allies, President Woodrow Wilson vowed to remain neutral. But as the war dragged on, German hostility toward America grew worse. US #1567 – The National Museum of the Marine Corps opened on this date in 2006 in Triangle, Virginia. The forerunner of the United States Marines was established on November 10, 1775, in the midst of the American Revolutionary War. The earliest American Marines served with the British in the 1730s. Some 3,000 American colonists were recruited to serve with Admiral Edward Vernon’s fleet for service off the coast of South America. When hostilities there ended, the Colonial Marines were disbanded. 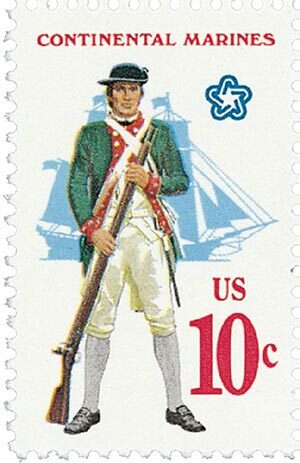 They were recalled to service several times in the ensuing years and by the start of the Revolutionary War, there were still some 4,500 Americans serving in the Colonial Marines. 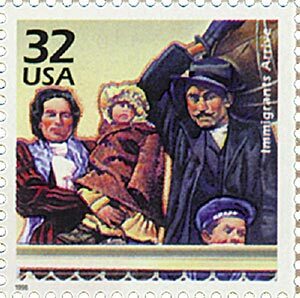 US #1804 – Banneker was the third honoree in the Black Heritage Series. 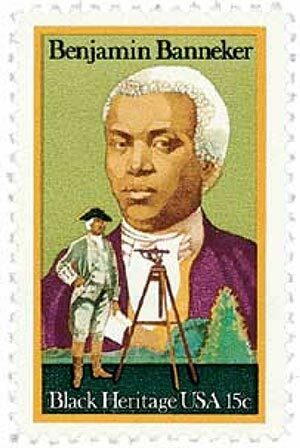 Benjamin Banneker was born on November 9, 1731, in Baltimore County, Maryland. Banneker was the son of freed slaves and received little formal education as a child. He was mostly self-taught and what little education he had ended when he was old enough to work on the family farm. 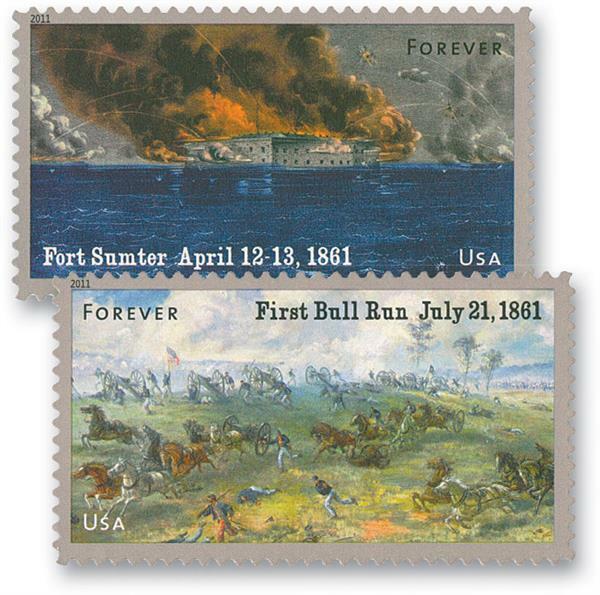 US #4522-23 – The first stamps in the Civil War Sesquicentennial Series. On November 8, 1861, the Trent Affair began an international incident that nearly sparked a war between the US and Great Britain during the Civil War. As America moved toward war in early 1861, the North and South both considered what role the British might play in a potential future conflict. Britain depended on Southern cotton, so the South believed that would aid them in earning diplomatic recognition. However, the Union saw the conflict as an internal issue that the British should stay away from.